recognizing Exceptional women and their service in the areas of community, civic, professional, philanthropic and sorority work. Since 1973, Los Angeles Alumnae Panhellenic Association (LAAPA) has recognized outstanding area NPC alumnae for their exceptional service in the areas of community, civic, professional, and/or philanthropic achievement. OUTSTANDING CAREER ACHIEVEMENTS, and sorority work. The LAAPA past WOTY honorees are women who have made a collective impact in the worlds they inhabit, beginning with their collegiates experiences that start the formation of the noble, giving and altruistic women we know today. Helen is just such a woman. Helen as was the tradition married out of college. Her husband Earl supported the family as the children arrived. Helen was a steady part of the school days and education, volunteering where needed, assisting troop leaders as young men started on the path of self-improvement. Helen could have elected to continue as a stay at home mom like many of the homemakers of the 1950's and 1960's. But Helen knew there was more to do and enrolled at California State University Los Angeles to pursue her nursing degree. It is no surprise that Helen received her credential and certification, and in addition to raising her family, began to serve as a Home Care Nurse. Education has always been a treasured gift to Helen, who instilled those same values to her family. As they spread to the four corners of the world, Helen continued involvement with her church, and her sorority, Phi Mu. St. Alban's Episcopal Church has benefited from their parishner Helen. Helen currently is part of the Lay Ministry, serving as a Lay Eucharist Ministry to those unable to attend services. Helen is the contact person for St. Alban's program. Those of us who have attended meetings at Helen's home know she is a wonderful cook, but most of us do not know that Helen provides cookies most Sunday's for after service gatherings. She also is extensively involved with St. Alban's food insecurity program, bringing breakfast foods to the church for the UCLA students in need. Speaking of UCLA, Helen has been involved with Phi Mu throughout her life. Her chapter of initiation is UCLA, located at 646 Hilgard Avenue. Helen's work with the UCLA Corporation Boards has led not just to life long fraternal relationships but to securing the future for Phi Mu at such time they return to UCLA. Her long time devotion has assisted not just her Chapter, but strengthen all sororities and fraternities at UCLA with intelligent stewardship, assisting other groups find housing, and offering to help when needed. In so doing, Phi Mu has a possibility few NPC groups still have at UCLA, namely a Chapter Property to return to. For over twenty years to my knowledge, Helen has been an integral part and supporter of the Los Angeles Alumnae Chapter. She has mentored other Phi Mu women to participate with LAAPA, encouraging them to be part of this group as delegates and alternates, and in so doing, expanding the understanding and reach of LAAPA. Through the Alumnae Chapter, Helen has been part of the colonization of the Collegiate Chapter at California State University Northridge. Helen has been both participant and organizer of Phi Mu State Days. And Helen has attended numerous Phi Mu Conventions throughout the United States. You need only see her at meetings to see the pride with which she wears her badge and honors. Helen has been part of LA Panhellenic for over twenty years. Helen has the distinction of beginning her term as Vice President when in a few months the President resigned, leaving Helen in charge of the organization. Helen bravely and beautifully stepped up to the challenge, completing the year as President and then serving her year as President as rotation at the time indicated. 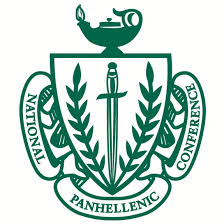 Seeing Panhellenic in the larger terms that Southern California Council of Alumnae Panhellenics (SCCAP) offers, Helen has been a dues paid member for almost two decades. Helen attends both meetings each year to bring the trends and issues of the Greek community not just to her Alumnae Chapter and Phi Mu, but to also share it with her Panhellenic sisters at LAAPA. It is again the comprehensive picture and experience that Helen shares with all she encounters and who can benefit from it. It is that quiet dedicated determined steadfastness combined with keen intellect, desire to inspire the future as well to share the richness of relationships that is what defines Helen so truly. She is a deep soul who is always there to serve on a committee, host an event, provide what is needed. She is also a quiet continuous donor to LAAPA, continuing a legacy of generosity and giving that goes back to her collegiate days. Her generosity is to LAAPA, Phi Mu, her church, and to the numerous causes that are personal to her. Helen is one of those valiant quiet women upon whose shoulders we all stand the taller. Education in the 1940's. Expanding her education in the 1960's. Returning to the workplace in the 1970's. Mentoring women through the 1980's until present. As we look at the modern woman of today, we need also remember the gracious gentle women who politely, quietly, went forward to improve the world they saw, and in so doing, opened the doors of opportunity for each and every one of us. From her collegiate career to present, the noble and altruistic values our Fraternal experience asks us to take to the bigger world have been the very cornerstone of her life. When I think of the sort of woman I hoped to become as I 'grew up' Helen is very much that woman. Involved with her communities, mentoring other women personally and professionally, she exemplifies the Panhellenic ideals of our NPC creed. I believe Helen Elson has shown the traits and qualities of an Outstanding Greek Woman of the Year, and hope you will agree that this worthy candidate has created a legacy of excellence in all she has done, and acknowledge it accordingly. On Thursday, January 25, 2018, Helen was honored at Petrelli's Steak House as the 2018 LAAPA Woman of the Year. To nominate an outstanding NPC Greek Woman of the Year please contact vp@laapa.net or laapavp@gmail.com or you may download the criteria. LAAPA is a 501(c)(3) under the regulations of the IRS. Our Federal ID is 32-00300572..